Foto di una penna della Eversharp. Modello: Symphony. Caricamento a levetta. Realizzazione in resina plastica nera. Terza versione. 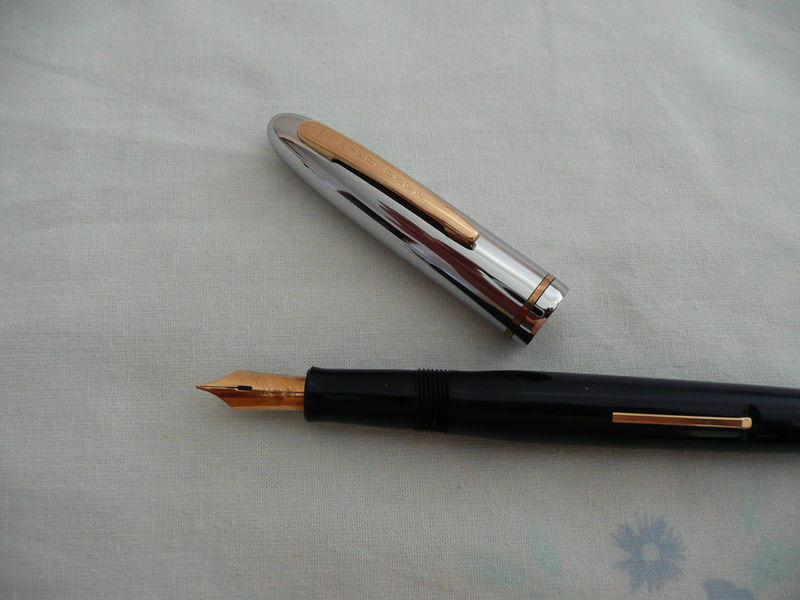 Photo of a pen produced by Eversharp. Model: Symphony. Filling system: lever filler. In black plastic resin. Third version. This page was last edited on 16 October 2016, at 03:14.